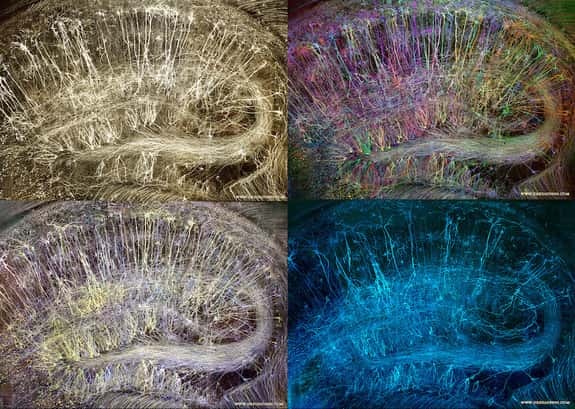 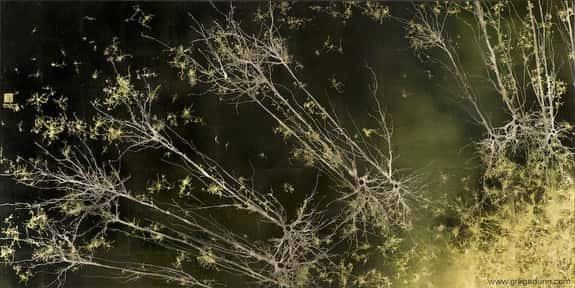 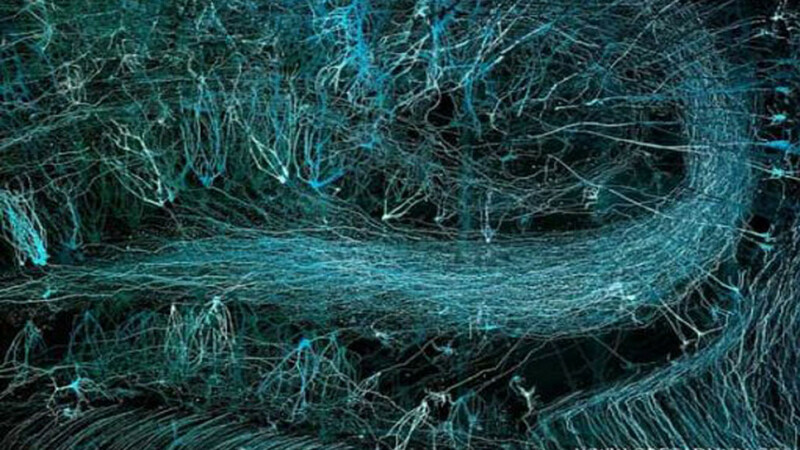 These Stunning Images by Neuroscientist-Artist Greg Dunn show the patterns of branching neurons. 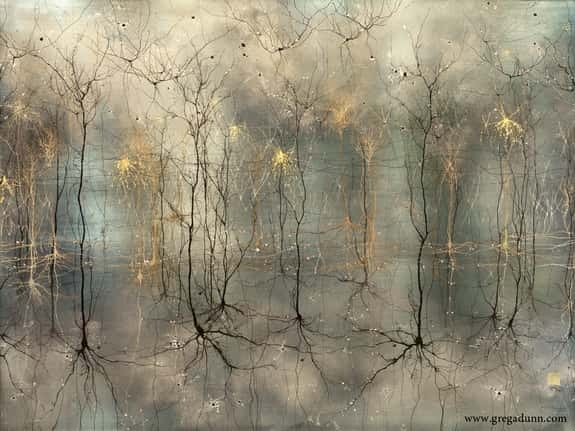 Greg has a PHD in neuroscience and his work is an impression of the brain as seen through a microscope. 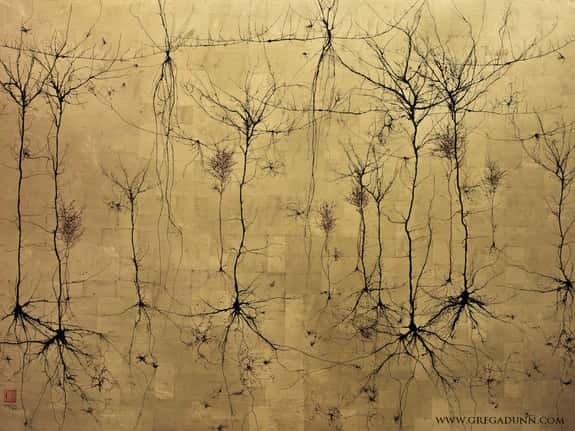 The patterns of the neurons reminded him of the aesthetic principles often used in Asian art. 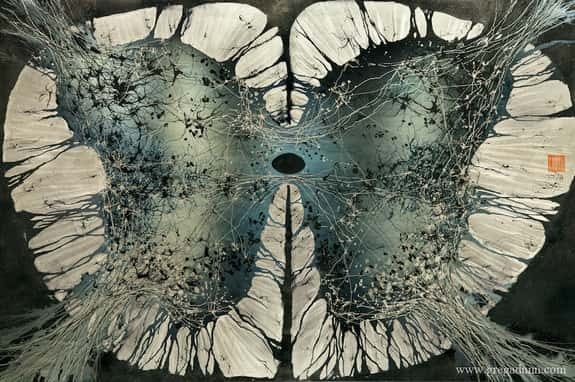 They have been painted in an ink wash painting style called sumi-e. Sumi-e is a style which involves making minimal brush strokes in order to capture the soul of a subject. 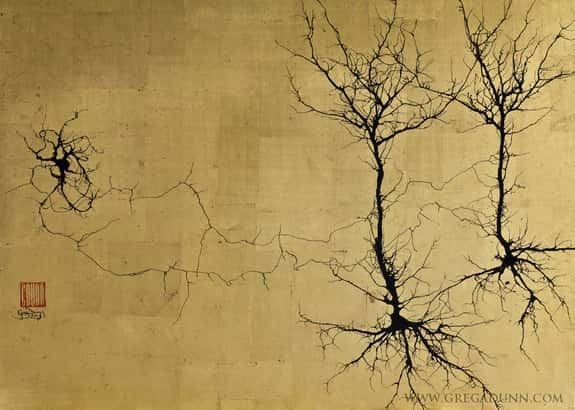 These are ink wash, minimalist style paintings involving a process that Greg Dunn developed. 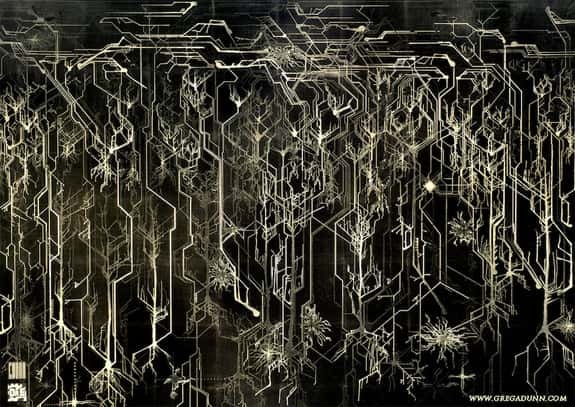 The process involves blowing ink on non-absorbent paper. 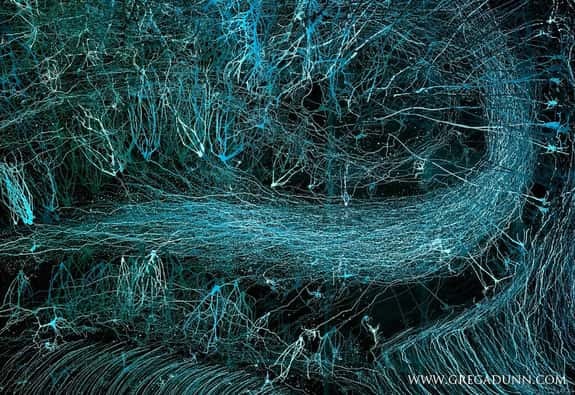 This causes the ink to splatter in a way that is representative of neurons.